When it comes to buying white loose pearls it can prove quite a daunting and difficult task, especially if you’ve never considered making a purchase like this before. But with a little bit of research, you will be able to choose the best pearls based on their quality, color, and style. The aim here is to help you make the right decision when it comes to buying loose white pearls from the collection we have on offer. Our collection is made up Freshwater and Japanese Akoya white pearls, both of which are also known as cultured pearls. When it comes to buying any kind of loose white pearls there are certain factors that will determine their overall value. The main factors that will have an impact on how much white loose pearls cost are shape, quality of the pearls surface, luster, and size. So in order to help you with purchasing such items, we explain a little more about how each of the above factors plays a role in what value the white loose pearls you buy are worth. The most sought-after of all the shapes pearls come in today is, of course, those that are perfectly round. 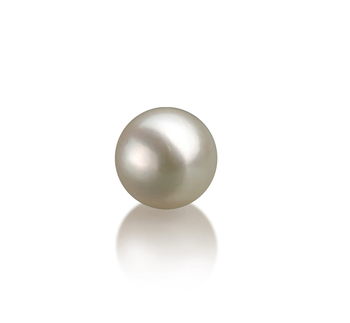 But these kinds are in fact rare and around only 5% to 10% of all white pearls harvested will be this shape. The rest of the pearls that you can buy loose will be semi-round, button, circle or baroque shaped. But the kinds we offer in our collection fall into round or semi-round groups. These are perfectly spherical and are of course the most desirable. All our high-grade Japanese Akoya white loose pearls fall into this group. Aren’t perfectly spherical, but very close to it. Anyone who hasn’t owned pearls before will see pearls that look round to them. As you can imagine these pearls do cost less than round ones. Our collection of Freshwater white loose pearls falls into this group. No two pearls you see are alike and it is the quality of their surface, which makes each one of them different from the other. Virtually, every single pearl you can buy include white loose pearls will never be perfect; they will have some slight imperfections to them. 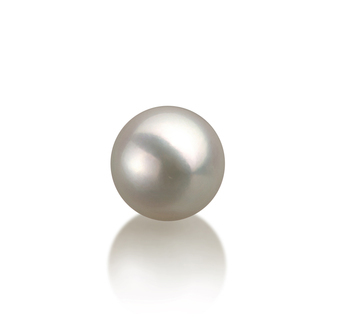 Each pearl that you see in our collection has been carefully inspected and have received an AA, AAA or AAAA grading. This helps to easily identify pearls of the highest quality. 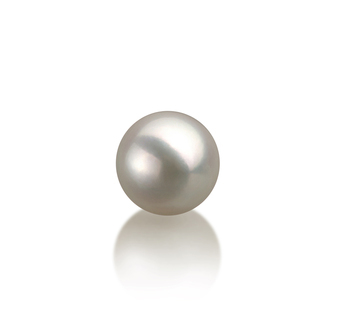 The pearls with an AAAA grading are the best quality pearls you can get today, whereas those with an AA or AAA grading will have some more imperfections to their surface. The kinds of imperfections that will have an effect on the value of white loose pearls include any kinds of wrinkles, bumps, spots or abrasions to the pearl’s surface. Also, any gaps or chips that may lead to the pearls cracking or peeling will have an impact on their value. It is the luster that helps to make pearls so unique and is often a key factor that will determine the value of the pearl. You will notice that no other gemstone is able to reflect light in the same way that pearls can. The amount of luster that white loose pearls produce depends on how each of the nacre layers developed and also how translucent it is. Pearls that don’t have a good quality luster, of course, will be worth less than those that do have a very good sheen to their surface. Pearls with high-quality luster are very shiny and you will be able to see images of objects in them. 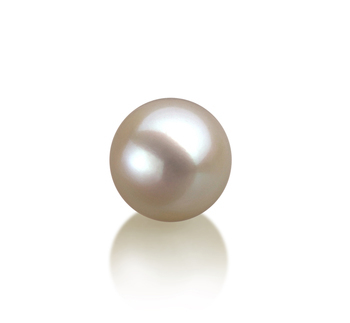 If you want pearls with high-quality luster then look no further than our collection of white loose Akoya pearls. They have an almost glass-like finish to their surface. This is probably the last thing you should be considering when it comes to buying white loose pearls. What size you choose will, of course, depend on how you intend to use the loose white pearls you buy. Our collection of white loose pearls provides you with the possibility to choose the desired jewellery piece that you can then integrate these beautiful gemstones into. The size of the pearls you choose is very important as it will determine what kind of piece of jewellery you will use it in. This is a medium sized pearl that can be used to make a stunning pearl ring, a delicate necklace or a charming pair of white pearl earrings. Of all the sizes of pearls available in our collection, these are the most versatile as they can be easily adapted to be included in any kind of piece of jewellery. These are yet another medium sized pearl and are an inspired choice if you are looking to provide yourself with as many options as possible. Like the 7-8mm size loose white pearls these can be used in a variety of different items of jewellery. Such will look especially wonderful when used in a pendant or a beautiful of drop earrings. These are the largest of the white loose pearls we have on offer and can be used to create some wonderful statement pieces of jewellery. Ideal for making a ring, necklace or a set of amazing statement earrings. You will find that these pearls can easily be adapted to suit any of your own wishes. Why Use White Loose Pearls? This is the classic choice and is guaranteed to be able to meet any of your expectations. Of all the different color pearls now available these ones are the most versatile as they provide you with a full range of choices when it comes to designing a unique piece of pearl jewellery for yourself or somebody else. Anyone including yourself who is presented with such a beautiful gift will treasure such for years to come and will be able to wear it with a variety of different outfits from casual, to semi-formal or business to evening or formal wear.